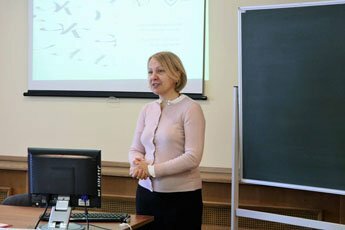 The lecturer acquainted the listeners with the main types of writings and showed them one of them. The higher school’ students and teachers have tried to work with the pointed and flat pens. At the same time, the curious ornamental forms of the pen stroke from A.V. 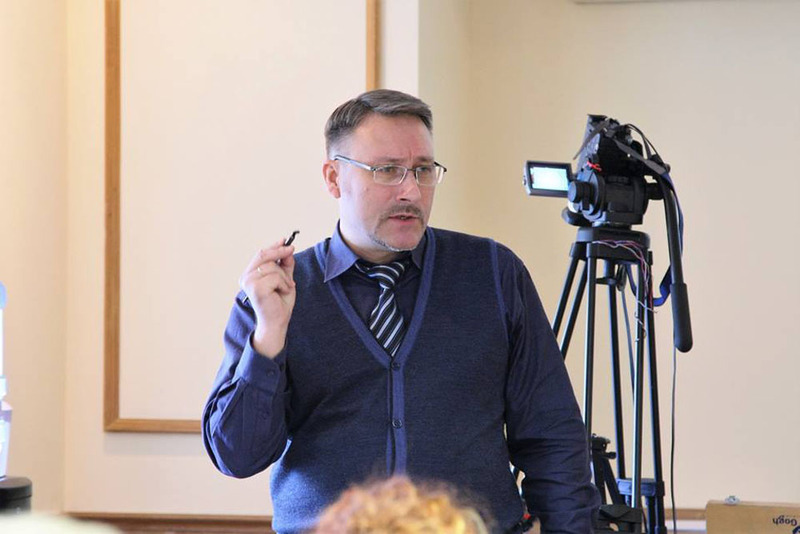 Lebedev fully enchanted the public. 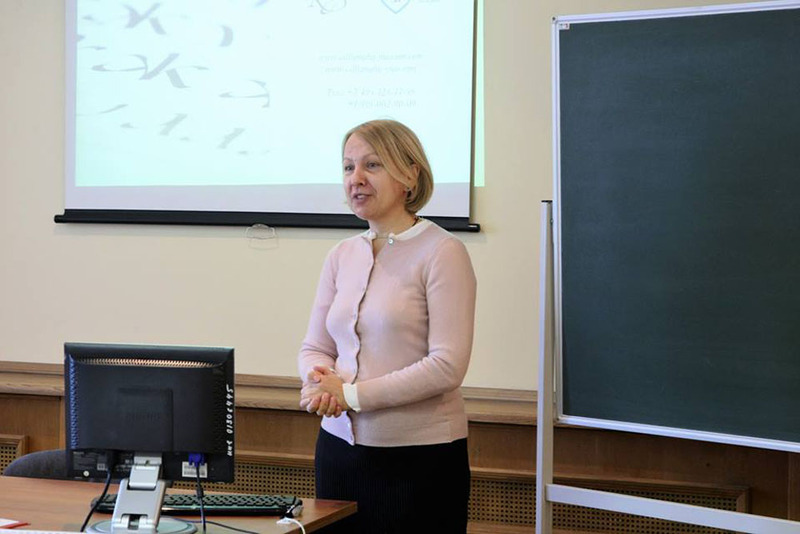 In the course of the lecture, the common project of the School of business and international competences and the Contemporary Museum of calligraphy has been mentioned. 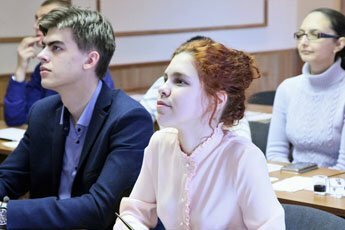 In February the lesson for the listeners of the professional retraining program the “International protocol and business communications” of the Business School of the Moscow State Institute for International Relations was held in the Contemporary Museum of calligraphy. D.M. 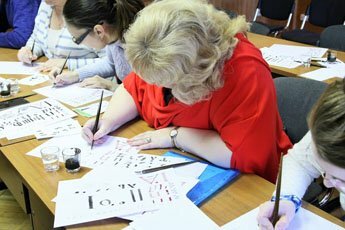 Shelomkova, teacher of the School of beautiful writing, acquainted the attendees with the working methods by the pointed pen and she showed the rules of writing of the main group of the lower case and capital letters. 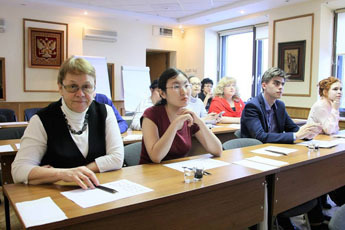 At the same time, the teacher together with the listeners signed the invitations. 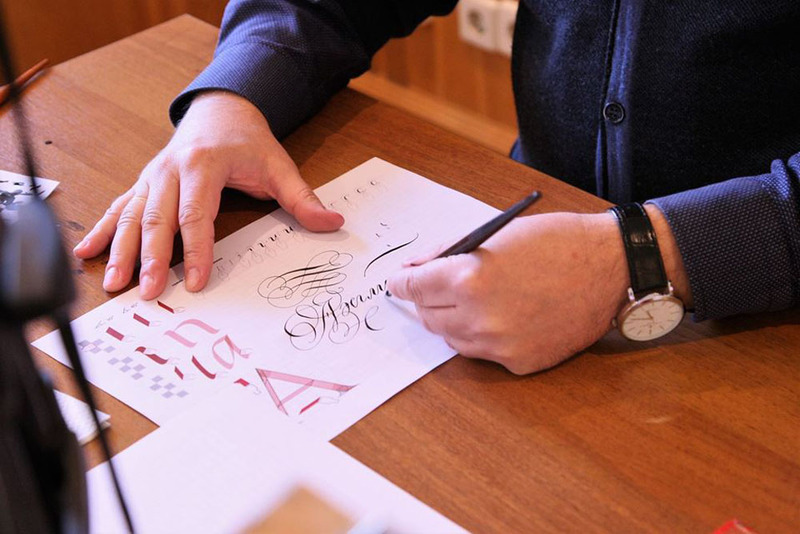 The highest political circles have first-hand knowledge of the mere importance of the calligraphical skills for a diplomatic official. The diplomatics pay a great attention to the backdrop of the gift objects, important state documents and heraldry. For example, Her Majesty the Queen of England Elizabeth II, the political leaders of many states and heads of world confessions have their personal calligraphers. In the meantime, the diplomatic documents themselves are either exemplars of record keeping documentation or precious monuments of the linguistic culture and sometimes of the literary skills. The history of the diplomacy has many similar examples, which were noticed especially thanks to the officials of the diplomatic service. The Contemporary Museum of calligraphy express its gratitude to the MSIIR leadership for its contribution and warm reception and look forward to a further fruitful cooperation!